Our 60 Day Challenges are not about crash dieting, we don’t count calories, there are no gimmicks, shakes or magic potions. 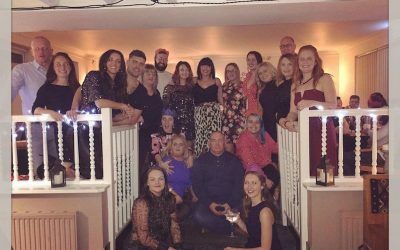 Find out how we get results and sign up for our 2019 Summer Challenge starting in May! 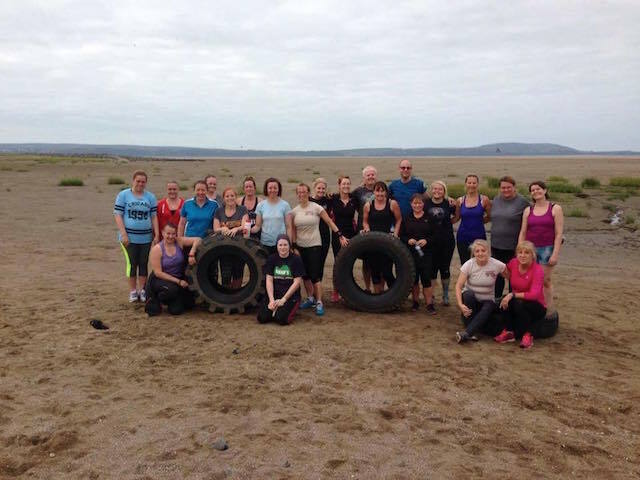 Llanelli Beach Bootcamp meet three times a week. 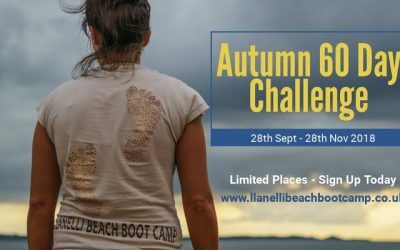 We have bootcamp sessions on Machynys Bay on Fridays and Sundays plus a Sprints session on the Millennium Coastal path every Wednesday. Why not come and join us? 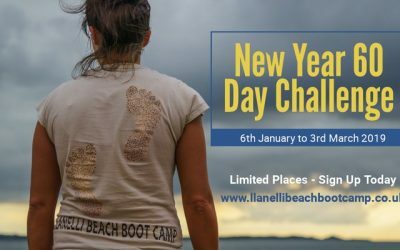 Llanelli Beach Bootcamp has been running for five years. 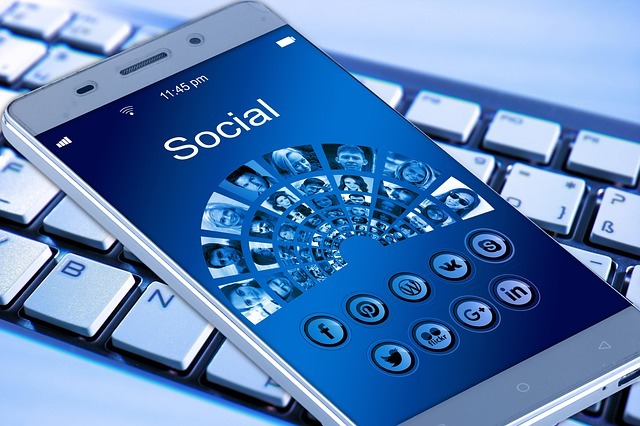 Check out our video showing just a few of our sessions and events over the years. Then find out how to join us down at Machynys Bay. 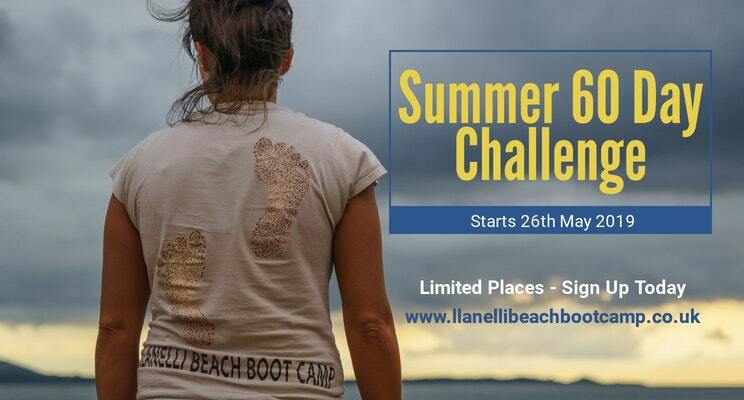 Keep up to date with Llanelli Beach Bootcamp via our Facebook page. We update regularly with photos from our sessions and news about what’s coming up. 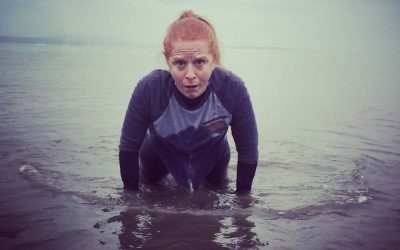 Wednesday Sprint Sessions take place on the coastal path 5.45pm to 6.30pm. This is an express class in non-sandy conditions. Sprinting is a great tool in fat loss and one that is often overlooked. Short, sharp and effective! 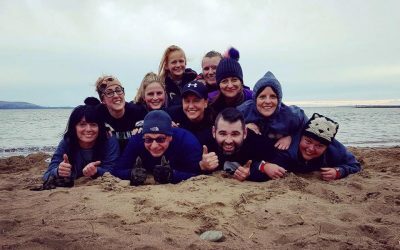 Our Friday sessions take place 6.00pm to 7.00pm on Machynys Bay beach. In the summer nights watch the sun set over the bay whilst you workout. In the winter we go under the lights, working out in a supportive atmosphere. Our Sunday session are from 9.00 to 10.00am on Machynys Bay. The Sunday sessions are the perfect way to end the weekend. 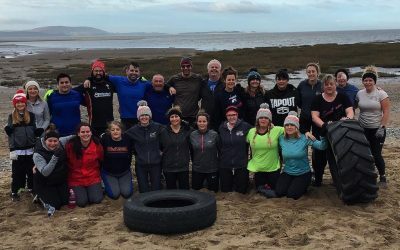 We run varied sessions using body weight and equipment – and it’s done in a perfect beach setting.